Finish it Off with Flowers! 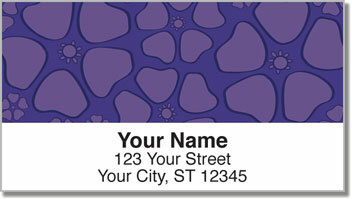 Add the color and life of beautiful blooming flowers to every envelope you stick in the mailbox. This set of return address labels from CheckAdvantage is the perfect way to top off all your letters and packages. From a deep purple and brilliant yellow to a rosy red and refreshing green, each design features a unique, vibrant shade in an attractive floral print. But this product is more than just a fancy flourish for your outgoing mail. Since these are self-adhesive labels, all you have to do is stick them in place and move on with your day! It's a simple solution to an everyday task. Get your own Petal Pattern Address Labels right now! This stylish selection is also available in matching personal checks.